In keeping with their growing abilities, our kids Taekwondo program allows the kids to learn, develop concentration and respect. Self-control and focus are reinforced in their fun, exciting classes. The program teaches Taekwondo techniques along with important lessons on how to use them in safe and appropriate ways. Children learn Taekwondo forms, also called patterns, which build memory and imagination, two important aspects of brain development for children in this age group. They also learn to channel their energy into highly constructive activities. 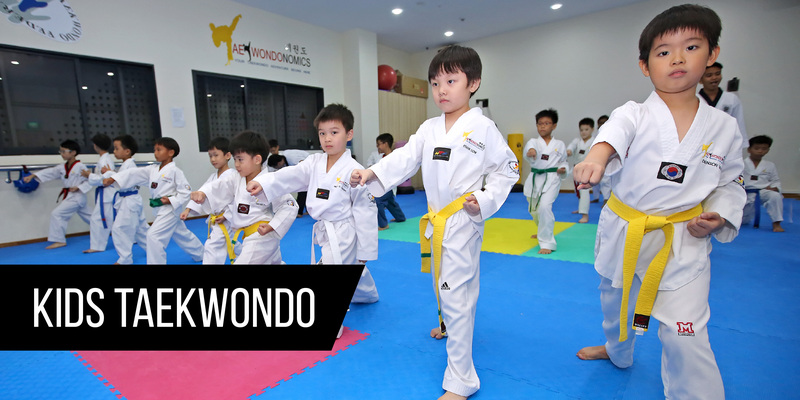 Instructors encourage children to build their physical strength and skills by refining their Taekwondo techniques. Classes are fast-paced, energetic and fun. The program emphasizes focus, mental strength, concentration, self-discipline and respect. This combination of skills often transfers to other areas of the child’s life.